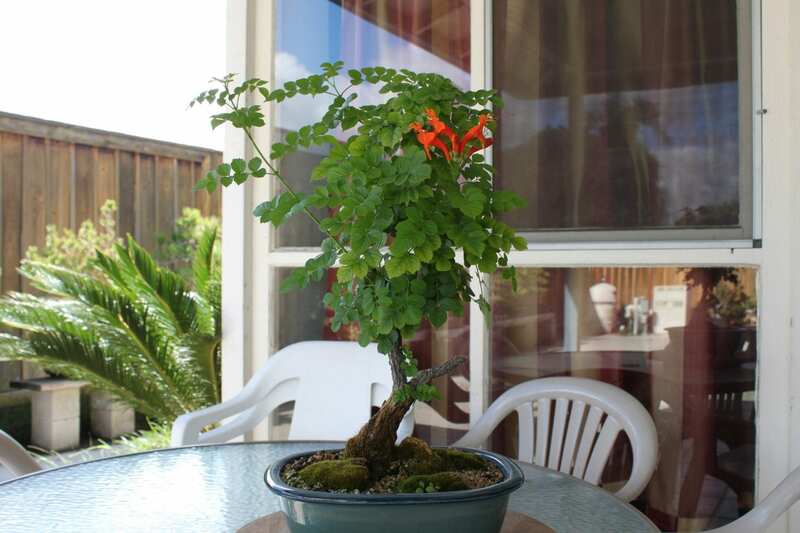 If you love bonsais and want to find a more interesting species to take on, you will love the Cape Honeysuckle Bonsai. Truly a unique specimen, this shrub lives to soak in the sun and spread like wildfire. Recognized by its stunning, vibrantly-hued blossoms and foliage, the Cape Honeysuckle bonsai has been known to mesmerize all walks of life with its rare beauty. Description The tree is essentially an evergreen plant when it is grown under ideal conditions, but it will lose its leaves in areas that experience cold winters. The green, shiny leaves have edges similar to a saws blade. The blooms on the plant are reminiscent of honeysuckle, hence its name. It is not a real honeysuckle, however. The brightly-colored flowers, pod-like fruit and vine-like form are outstanding features of the plant. Position The plant is indigenous to South Africas Cape region. The ideal growing location provides plentiful sunlight and moist soil. A site that offers morning sun and filtered afternoon shade is beneficial. Watering Water the plant as necessary to keep the soil moist. Feeding During the growing season, feed with bone meal to encourage the plant to bloom. Leaf and Branch Pruning The roots of the plant should be cut back regularly to maintain a small size. Re-potting & Growing Medium Re-pot the plant in early spring. The ideal growing soil comprises 60 percent aggregate material and 40 percent organic compost. Notes This plant has a naturally sprawling habit, but only minimum effort and experience is required for its maintenance. What Is A Cape Honeysuckle Bonsai? The Cape Honeysuckle bonsai, or Tecoma Capensis by its botanical name, is a perennial shrub with vine-like growth tendencies. Named after its native region, the Cape of Good Hope in South Africa, it is the only indigenous species of 12 from the Tecomathis genus. The Cape Honeysuckle bonsai is a plant that can be identified by its distinct aesthetic characteristics. Bright green, glossy leaves pair off as they grow up the branches. Each leaf on the Cape Honeysuckle bonsai has a soft diamond shape with serrated edges and, usually, grows between 2 and 5 centimeters long. The name “Cape Honeysuckle bonsai” is misleading, because it is not a true honeysuckle plant. The description comes from the spontaneous clusters of trumpet-like flowers that contain sweet nectar, attracting hummingbirds and butterflies alike. Different varieties of the Cape Honeysuckle bonsai produce specific colorations of blossoms, which cultivators can select based on their desired results. From vivid oranges, to scarlet reds, bright yellows and light coral pinks, the Cape Honeysuckle bonsai offers vibrant, warm hues that are reminiscent of the tropics. These plants also bear fruit in the form of pods, housing tiny seeds that will split open once fully ripe in order to sow themselves into the ground for reproduction. Generally considered an evergreen, the Cape Honeysuckle bonsai becomes semi-deciduous, losing its foliage during winter in colder climates. The Cape Honeysuckle bonsai is fairly low maintenance compared to other bonsai plant varieties. It has an invasive root system, allowing it to grow, like a weed, under the right conditions. Preferring warmer climates, where it can soak in the sun, the Cape Honeysuckle bonsai is a quasi-climber that has been known to reach heights and widths of 6 meters with the proper support structures. The most difficult part of cultivating this fast-spreading shrub is ensuring that it is pruned regularly to avoid sprawling. The Cape Honeysuckle bonsai is cultivated for ornamental purposes. Due to its great pruning responses, it is often used for building decorative hedges. Aside from Africa, this plant is successfully cultivated in the warmer regions of the Western United States and in the Southeastern parts of Asia. To begin, one must either purchase a five gallon Cape Honeysuckle or cut a sucker from a larger, fully mature plant in the ground. 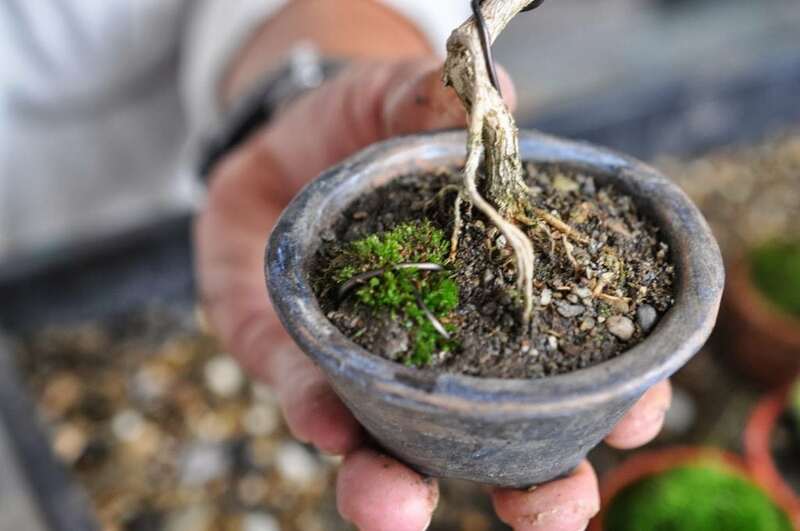 This species of bonsai responds best to repotting in the early spring months. Tropical plant soil with a 60 to 40 ratio of aggregate to organic matter provides the perfect growth environment for these plants. Blood or bone meal can be added as fertilizer to encourage blossoming of its spectacular blooms. As Cape Honeysuckles thrive in both alkaline and acidic soils, the pH is not something to be concerned about. 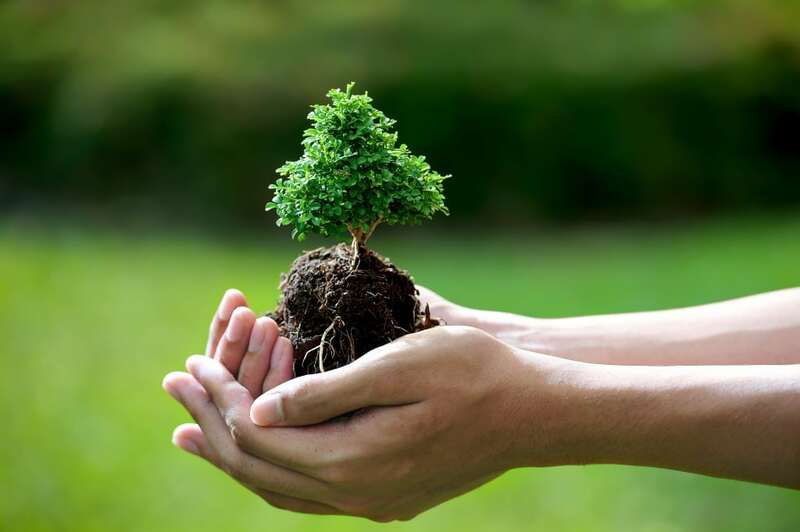 Once the plant begins growing, it is important to prune the roots back regularly. Decide where to place your young, fresh bonsai. Although these plants love sunlight, bonsais require a bit more shade so that the soil remains moist. On the other hand, too much shade may stall the bonsai’s growth. For best results, select a place that offers both moderate amounts of sun and shade. To encourage dense foliage, prune the plant back to one pair of leaves. If flowers are desired, and they usually are, the bonsai must be permitted to grow until flower buds develop. Do not be afraid to cut back this plant to the wood. It is persistent in its growth and will return, fresh buds and all. Fully developed branches are difficult to bend, so any wire training on these plants will need to be done during the early growth stages or immediately after pruning. To keep Cape Honeysuckles from growing out of shape, prune them down to the ground every 4 years and remove any suckers that may develop. The Cape Honeysuckle bonsais will respond best to informal shaping styles as they tend to want to grow in all directions. Larger sizes of this variety of bonsai are best, because blossoming occurs on the ends of fresh growth. As this plant is known for making a great shrub, it is possible to shape the bonsai into a similar box form. It can also be encouraged to grow organically up onto a pergola or any other form of outdoor support structure, because it likes to climb. Cape Honeysuckles do not have many nemeses as far as plant disease or pests. Frost is this plant’s worst enemy. It can damage the leaves and branches, causing permanent growth issues and sometimes killing the plant. At times, an under or overabundance of nutrients can cause problems for this bonsai. If this is a problem, it will be evident in a browning of the leaves. For the most part, the Cape Honeysuckle bonsai is a low maintenance shrub that will remain healthy and vivacious during its lifetime with minimal effort. As a plant that requires little experience and effort, the Cape Honeysuckle may be an ideal introduction to the art of bonsai. Its vibrant floral presence will brighten up any environment and enhance the natural beauty that surrounds you. For those who love nature and, especially, hummingbirds, the Cape Honeysuckle bonsai is the perfect addition to your outdoor decor.